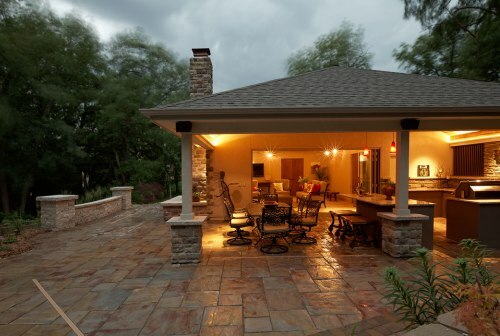 Our unique outdoor rooms are the perfect addition to your backyard living area. What’s better than spending a sunny afternoon in your own private, backyard pool? Relaxing in an elegant pool house that expands your outdoor living space! 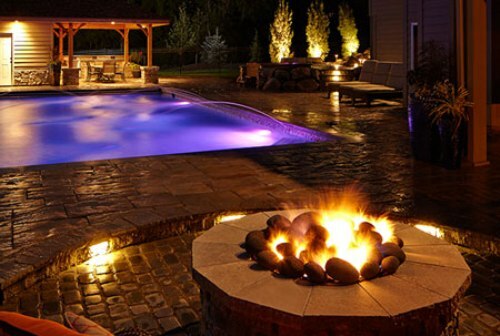 Elite Landscaping is a custom concrete pool and patio builder in Omaha, Nebraska. We also specialize in design-build projects for unique pool houses, cabanas and outdoor rooms. Our experienced crew has served homeowners in premier neighborhoods throughout Omaha and Lincoln, Nebraska for more than a decade. Set up your free consultation today. We’re here to make your dreams come true! What can an Elite Landscaping design do for you? Increase your backyard bliss with an alluring outdoor room or custom pool and pool house design. 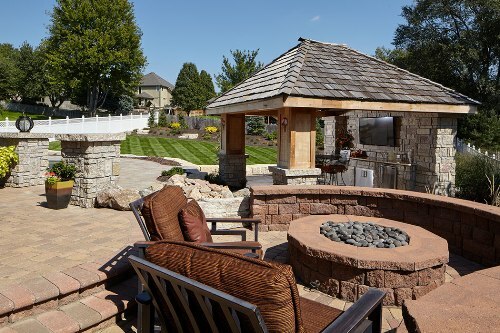 Add a custom cabana or pergola to your outdoor living space, connected by natural stone hardscaping. Enhance your outdoor living space with a luxurious yet functional outdoor room or pool house. Elite Landscaping’s inground pools and pool house designs boast the ultimate in outdoor entertaining features, such as outdoor fireplaces, TV areas, and outdoor kitchens and bars. Enhance your custom outdoor pool with a new pool house or cabana. Your outdoor space will become everyone’s favorite place to get together! 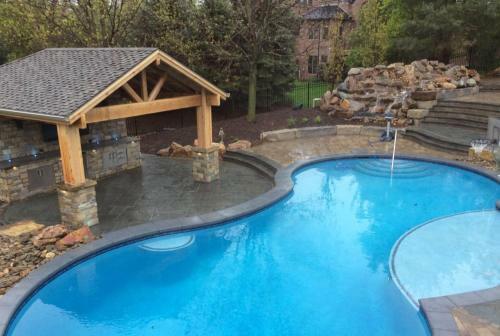 Our pool installation and pool house construction has helped homeowners in Omaha and Lincoln, Nebraska, become the envy of their neighborhoods. Elite Landscaping will help you design and build the outdoor room that meets the needs of your family’s lifestyle, and adds beauty and value to your home. Your pool house or outdoor room design is only limited by your imagination. Elite Landcaping uses the highest quality products and accessories. Choose from high-end features including outdoor kitchens, fireplaces, TV areas and more, with one-of-a kind stonework and patio designs. We use natural stone patio pavers and hardscaping with boulders to integrate your pool house seamlessly into the swimming pool or patio areas. During the design process, we help you choose from a variety of finishes and accesories that result in the finished outdoor room of your dreams. Our experienced pool house builders complement the architectural elements and style of your home, and add eye-catching details. Experience the comfort of the indoors with the beauty of nature in arms reach. You’ll enjoy your outdoor leisure time even more in a beautiful, custom pool house from Elite Landscaping.